We are engaged in offering high quality of Christian Cards. Christian Wedding Cards offered by us are designed with traditional and modern concepts. We supply Christian Wedding Cards all over the world. The Designer Christian Wedding Cards are available in elegant and simple design as well as Modern. 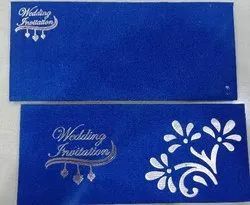 We offer Christian wedding invitation cards which not only compliment your lifestyle, but are in perfect sync with your vision of a complete catholic wedding invitation card.